According to a new study from scientists at NASA's Marshall Space Flight Centre, and the Lunar and Planetary Institute (LPI), the moon's ancient volcanoes produced a temporary atmosphere that lasted for about 70 million years before dissipating into space. This study first arose when scientists were analyzing samples of volcanic glasses collected by Apollo astronauts in the 1970s. Through these rocks, it was revealed that magma beneath the lunar surface billions of years ago "carried gas components, such as carbon monoxide, the ingredients for water, sulfur, and other volatile species," LPI officials said in a statement. In the study, researchers calculated how much gas arose from the lava flows. They determined that enough gases accumulated around the moon to form an atmosphere, and that this atmosphere grew faster than it could escape into space. 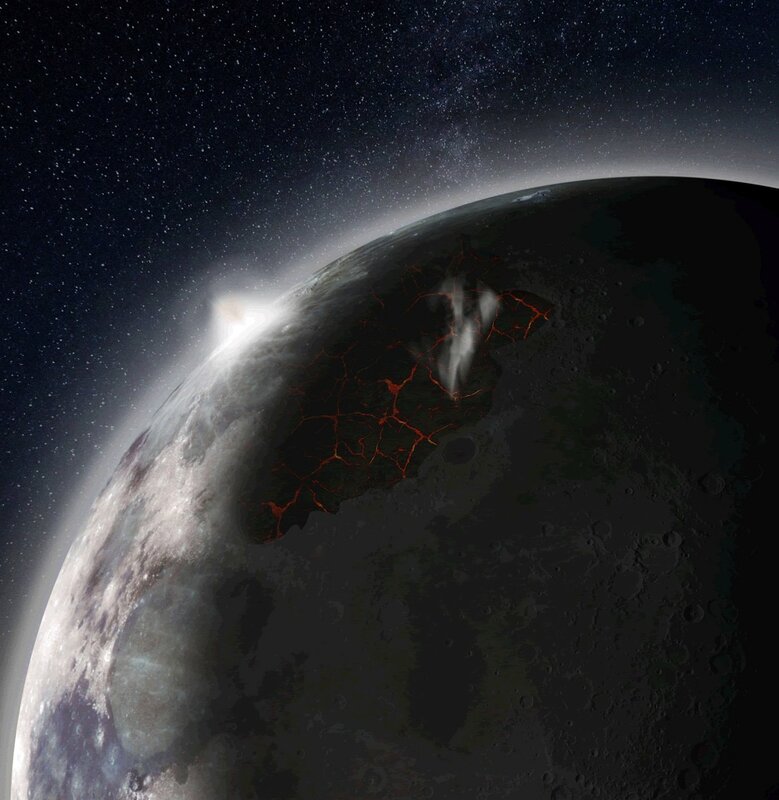 LPI officials said that these findings could have big implications for future explorations to the moon since this discovery "quantifies a source of volatiles that may have been trapped from the atmosphere into cold, permanently shadowed regions near the lunar poles and, thus, may provide a source of ice suitable for a sustained lunar exploration program."